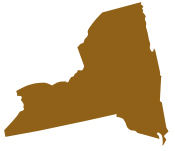 Who can qualify in New York for a sales tax exemption on utilities? A manufacturer or an industrial processor in New York can qualify for a sales tax exemption on utilities. Therefore purchases of electric, natural gas, and water may qualify as tax exempt. A utility study is required to determine the percentage of utility used in production which is the determinant of the extent of the exemption. The utility study is described in more detail below. How can one obtain the sales tax exemption on utilities in New York? A New York company must file the special utility sales tax exemption with the utility company. Upon receipt, the sales tax is removed from the utility bill in its entirety. The taxable portion of the sales tax is to be reported and paid on form ST100. New York doesn’t require a professional and licensed engineer for the study. However, it is standard and recommended to contract with a professional because of the required accuracy of the study, and a professional will certify the utility study and maximize the value of the exemption. In New York a predominate usage study is not required for the exemption. Just for information, predominate usage means that more than 50% of the consumption of any electric, gas, or water meter is used for direct production of tangible personal property. However a utility study is required that can determine what percentage of a meter’s consumption is used for production which is the basis of the exemption. The utility study must include a list of every piece of equipment and appliance that is used in production (according to the state statute); and in addition, the annual consumption of each piece must be listed next to it. In addition, a listing must be made of everything that uses that utility that is not used in production, along with the annual consumption of each one. From those lists and consumptions, the determination is made as to the percentage of production use, or the exempt percentage. What is the scope of work of a Professional providing the Utility sales tax exemption work in New York? Utility Study: On Your Mark performs the utility study – as qualified engineers are on staff. The study is completed, and the exemption certificate and study are filed on behalf of the company by On Your Mark. Claim sales tax paid on exempt meter: On Your Mark may find an exempt meter qualifies for a refund and if so, a refund claim is filed and vigorously pursued. If the refund is approved, it can cover a period of 3 yrs. Minimize time and frustration: A professional can save so much time by completing the utility study as he’s done for years. A professional can eliminate wasted time spent, frustration, and at the same time, a professional can maximize the value of the exemption. Risk-free Method to Obtain the Utility Sales Tax Exemption – in the shortest amount of time: On Your Mark provides the utility study and evaluation, and filing of the exemption certificates, and refund claim if qualified – all at no charge. If the work passes state approval and the savings is granted, only then will On Your Mark charge a fee – a sharing of the savings. On Your Mark typically has the Sales Tax Exemption Certificate on Utilities filed within 30 days of authorization to proceed.